This infographic – a collaborative effort of Hubspot and MOZ – shows just how many major and minor SEO changes Google has implemented over the course of the years. Keyword stuffing no longer works. Inbound links do not have the clout they once did. 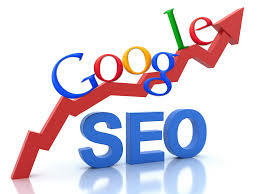 What Google is searching for these days is higher quality content for the end user. Keywords are no longer one or two words in search, but long-tail phrases, sentences and questions. Google wants to pair up users with the BEST content for their search. This infographic is a great visual of all of Google’s SEO changes since 2003. What has been the biggest change in your SEO efforts? Understanding SEO – Your Small Business Can't Afford to Miss This!